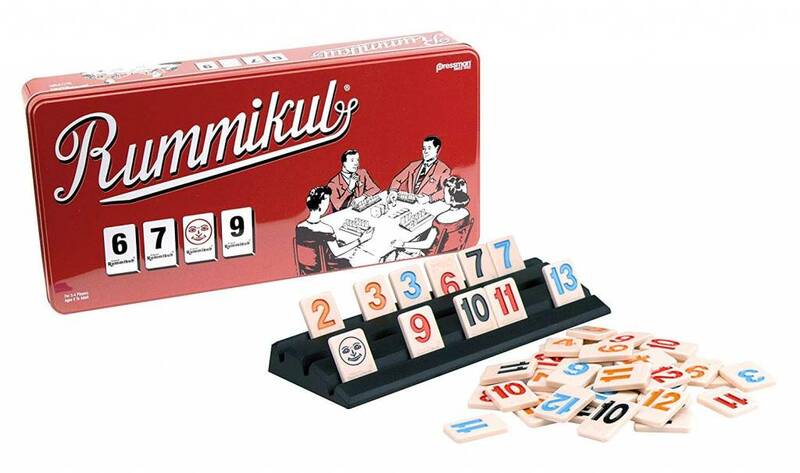 Rummikub got its start in Romania just after the end of World War II. The Communist government banned playing cards as a decadent capitalist pursuit and an enterprising manufacturer named Ephraim Hertzano developed a game that captures the excitement and familiarity of well-known card games using plastic tiles instead of cards. Most importantly, he worked hard on new rules that made the game what it is today. Mr. Hertzano started selling the game door-to-door, but he couldn't get stores to carry the game. So he began inviting local merchants to his home to play RUmmikub. The game was so much fun that the shopkeepers began to carry it in their stores, and sales grew. From these humble beginnings Rummikub has become one of the world's most popular family games, with an estimated 50+ million copies sold in 24 languages. In the late 1970s, its popularity soared in the US after comedian Don Rickles talked about the game on The Tonight Show Starring Johnny Carson. By 1977, Rummikub had become the nation's #1 selling game. It's easy to see why Rummikub is one of the most popular games of all time. Players use strategy, and a little bit of luck, to form runs of the same color (like a Red 7,8, and 9) and sets of different colors (a Red 9, a Blue 9, and a Black 9) as they race to be first to play all of their tiles. Players can take apart runs and sets that have already been played, so the game can change instantly--giving every player a chance to win until the very last move. And it's great fun for a wide range of ages--from kids, to parents, to grandparents. The special edition tin you are looking at is modeled after the original Rummikub artwork that helped establish the game. 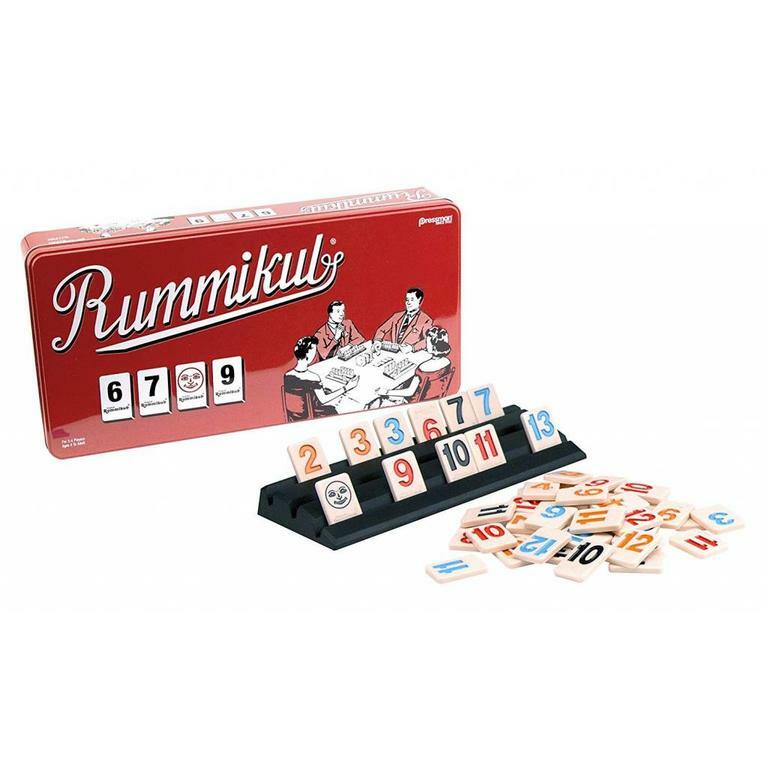 It features the highest-quality Rummikub tiles from this publisher, and updated rules. A family favourite for years! Tile rummy with lovely wooden or plastic racks!